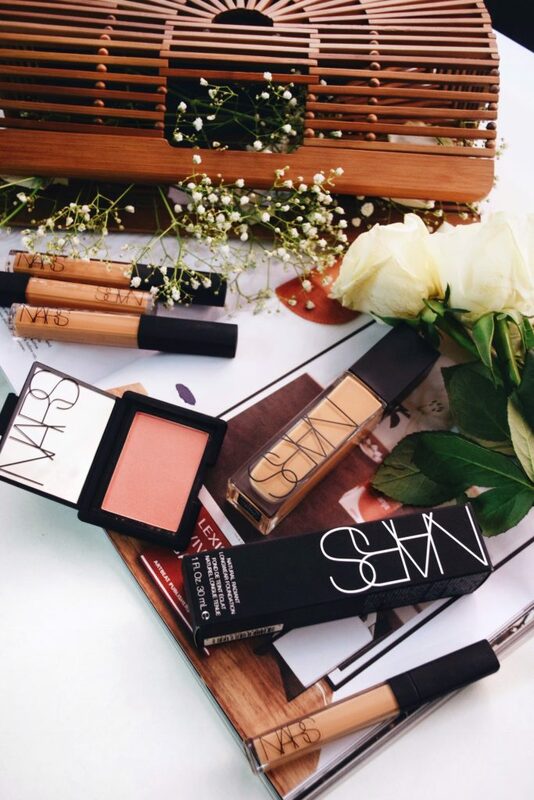 NARS has always been my favourite brand when it comes to concealers and blushes. Their foundation range is something I have been meaning to try for quite sometime now, but until now they didn’t really have anything in the full coverage segment. The NARS Natural Radiant Longer Foundation was launched recently and I picked this one while I was in HongKong, it was sold out in most of the stores luckily I found it in Harbour city. This is also I guess the first longwear full coverage foundation from NARS as most of their other foundations tend to be on the sheer to medium side. Longwear to Strongwear is their tagline for this foundation. The packaging like all their other products is extremely chic. The foundation comes in a sleek glass bottle with a pump which dispenses a small amount of product. Like any other longwear foundations e.g. Estee Double wear or Fenty Beauty a little goes a long way with this one too. 1-2 squeezes are enough for the entire face. The texture is rather creamy hence it’s important to work with it quickly or else end up with patchy finish. When it comes to longwear foundations I always use my beauty blender. This foundation gives good coverage, feels lightweight on the skin at the same time, gives a radiant, glowy finish without being dewy on the skin. I am an NC40 in MAC and the shade I match in NARS is BARCELONA which is is described as “medium with golden peachy undertones”. I would recommend this foundation to anyone who has oily skin to wear this foundation with a mattifying primer base and to those with dry skin need to wear a facial oil or moisturiser before using this as it can look and feel a bit dry and might give a patchy finish.